The Federal Airport Authority of Nigeria, FAAN, has reacted to a video made by popular Nollywood actor Aremu Afolayan where he accused airport officials of demanding bribe from him. 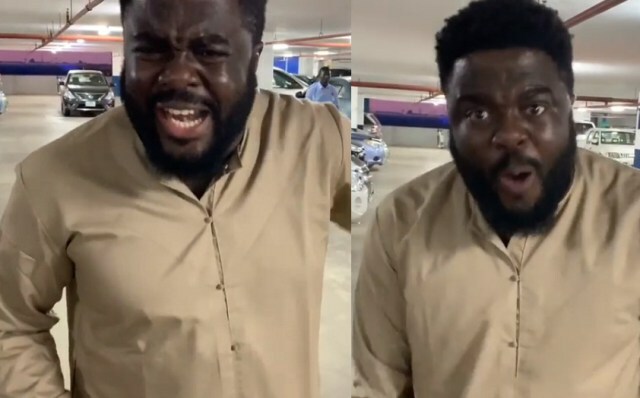 In the video also, Aremu claimed his French citizen sister was not allowed to fly because the Manager of Ethiopian airline said he wasn’t comfortable with her passport and later demanded a sum of money from him, which he refused to pay. 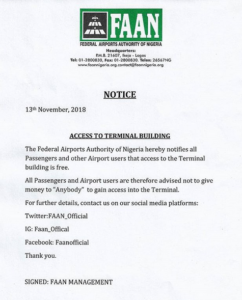 Reacting to the video, FAAN says gaining access into the terminal is free and no one should pay any airport official any money.